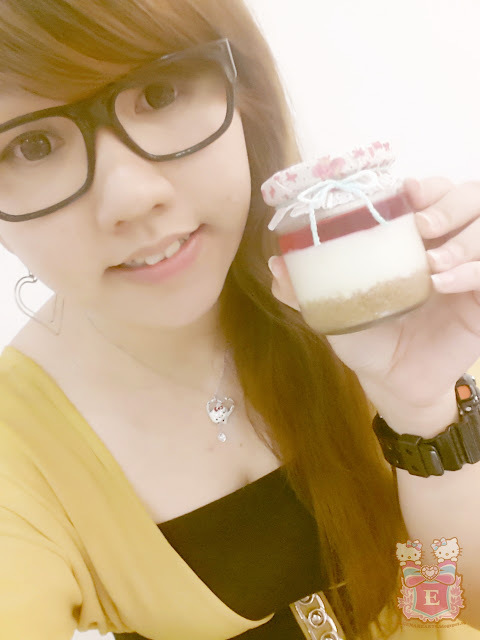 I had wanted to try the cake in the jar but did not really have a chance to. While waiting for my vendor,I decided to roam around The Central. Spotted this cafe, Stay Home Mum Cafe (SHMC). I decided to try out out their cake in the jar. 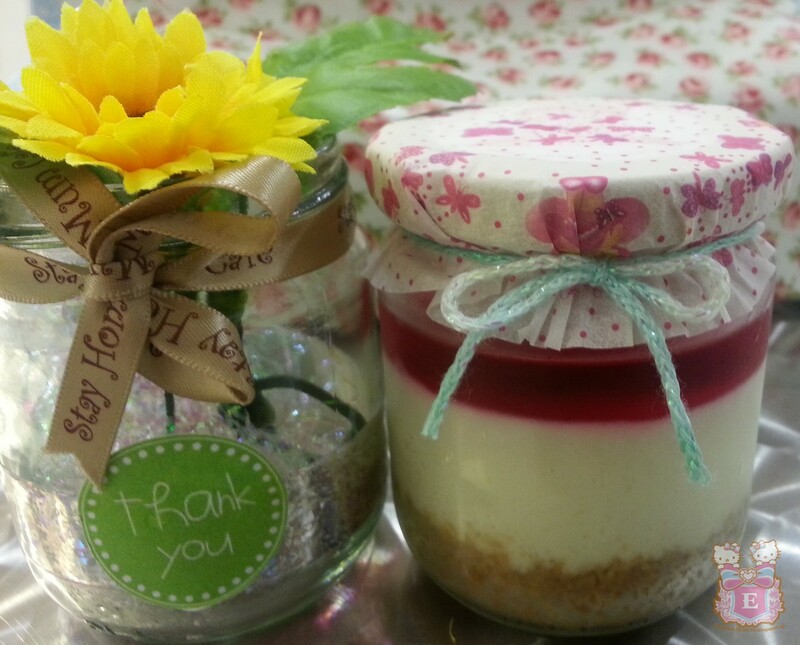 The lady boss recommended one of their best sellers, Jelly Jar. According to the lady boss, their cakes were all freshly baked daily in their shop. I love the different layer of colors. The heart-shaped strawberry remind me of the heart-shaped strawberry sushi that someone did for me before in the past. I simply adore heart-shaped strawberry. It really take a lot of effort to cut the strawberry into heart shape. 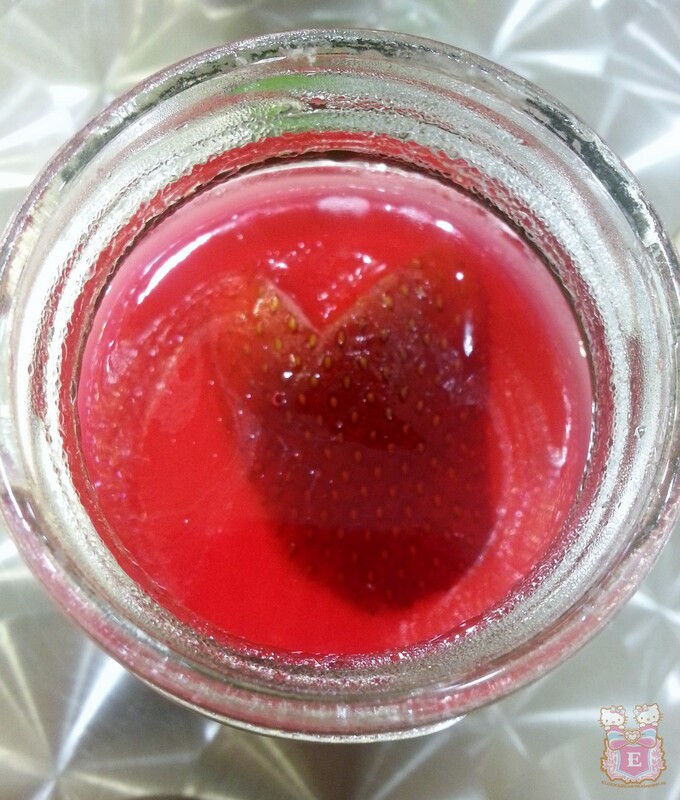 The jelly jar was made up three different layer. 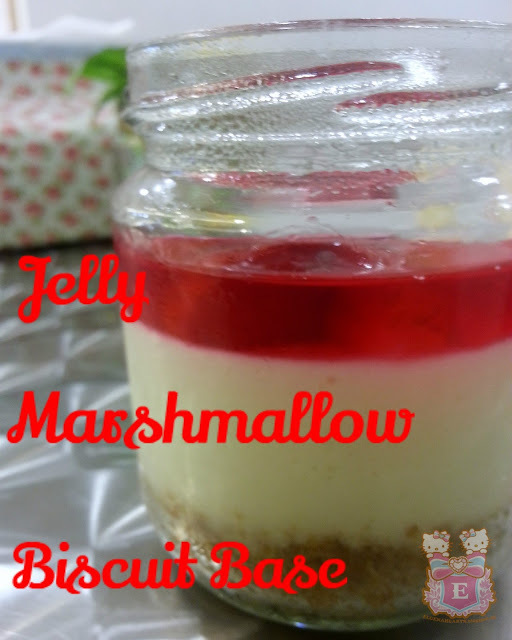 The base of the jelly jar was made up biscuit. I think they used digestive biscuit. It have the very slight touch of saltiness which made the whole jelly jar to another level. The second layers was surprising made by marshmallow instead of the normal cheese cake or sponge cake. It simply does not taste like marshmallow. It was creamy and rich. It just melt in mouth. In our perception, marshmallows are very sweet. Fear not, this marshmallow was simply perfect. It not very sweet and you will not get sick of it. It definitely will make you ask for more. The top layer was strawberry jelly. The strawberry jelly was done up perfectly too. It is not too soft. I simply love Stay Home Mum Cafe’s Jelly Jar ! I really wish to try out their other favors. 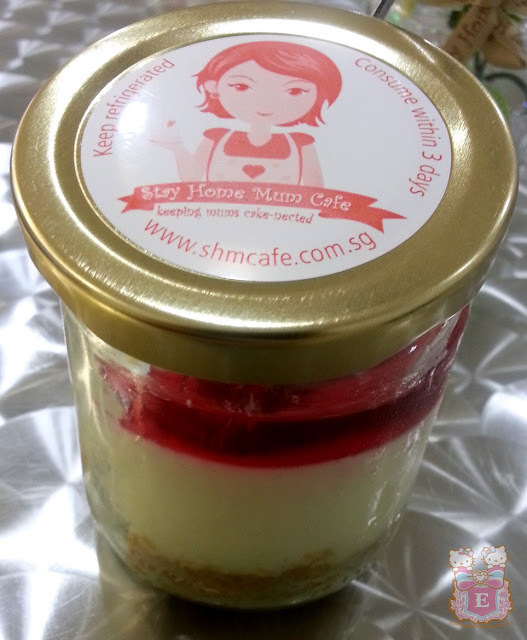 Come and experience the unforgettable combination of the Jelly Jar and other creation by SHMCafe.